The main purpose of the International Space Station is to provide an international laboratory for experiments within the space environment. Which, despite all our technological advances, is nearly impossible to replicate here on Earth. Because for many of those experiments, the key parameter is—you guessed it—weightlessness. While we do have a vacuum chamber tower facility at Goddard (in which very brief weightlessness experiments can be conducted for the few seconds it takes to get from the top of the tower to the bottom) and an aircraft that can simulate weightlessness for about 25 seconds, I'm not aware of any labs that can simulate weightlessness for prolonged periods of time. By prolonged I mean on the order of a month or more. For example, we're launching an experiment soon that will include frozen crystals. Once onboard, those crystals will be taken out of the freezer and thawed and allowed to grow for about 26 days, at which point they will be photographed and packed back up and returned to the ground to the payload investigators. I am not aware of any capability to conduct such an experiment on the ground. 1) Experiments that utilize the space environment to remove variables (such as gravity) to allow the investigators to focus on variables that are masked or impeded by the variable that will be removed. 2) Experiments that specifically want to study the effect of a variable introduced by the space environment (such as weightlessness or cosmic radiation). Experiments such as the crystal growth experiment or the experiment involving ants fit into category one. Other examples include the plant experiments I discuss here. Gravity is such a dominant influence on plant growth that it is very difficult to study the other factors. It becomes much easier onboard the ISS. A lot of the experiments for category 2 are those that are designed to help us learn about living in space. These are obviously of huge importance to NASA. Whatever our future missions might be (a return to the moon, sending people to an asteroid, or a crewed mission to Mars), there are a lot of lessons that we need to learn that we cannot really learn on the ground. 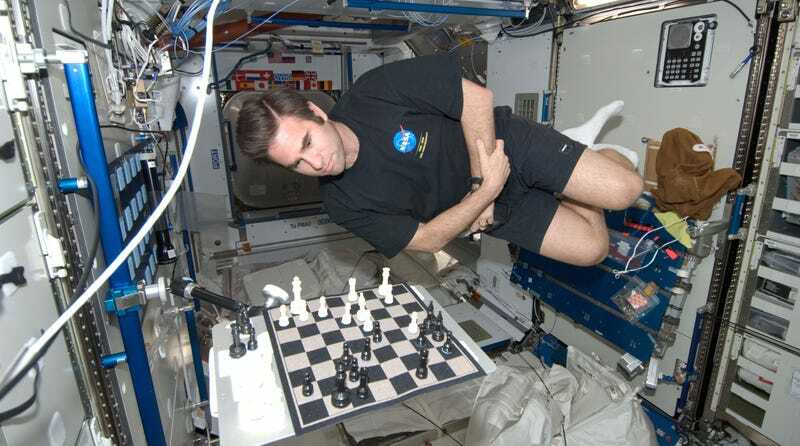 Having people in weightlessness for an average of six months (soon to be a full year for a couple of crew members) reveals things that we simply cannot learn on the ground - bone loss, hormonal and other physiological changes and even psychological changes. For about thirteen years we have had continual habitation of the ISS. We have studied each crew and made adjustments to the protocols for succeeding crews. Through this we have learned things that will be instrumental to later long duration missions and will hopefully be of benefit on the ground too. For example, in 2012 a paper was published in the Journal of Bone and Mineral Research entitled "Benefits for Bone From Resistance Exercise and Nutrition in Long-Duration Spaceflight: Evidence From Biochemistry and Densitometry." That paper reveals that we now know how to maintain bone in most regions of the body during 6-month missions. The paper predicts that these lessons will also change the protocols for osteoporosis treatment on the ground. Another important experiment is called InSPACE (Investigating the Structure of Paramagnetic Aggregates from Colloidal Emulsions). This experiment examined magnetorheological fluids. These are fluids that change their viscosity in an electric field. This could be of great importance in the development of nanotechnology. It is very hard to study these fluids on Earth because in gravity the nano particles settle quickly. Aboard the ISS, the weightless environment slows down the movement of these particles, allowing the investigators to observe their properties and interactions. During one of these experiments a pulsing phenomenon was observed that had never been observed on Earth. Information gained from this experiment may lead to new nano materials. Sometimes experiments start in one category and then surprisingly migrate into the other category as we learn from them. For example, studies at Arizona State University indicated that bacteria may become more virulent in space. This would be of concern to NASA if something like food poisoning from salmonella were to be more dangerous to astronauts. So, a study was begun to determine if this were true. The experiment revealed that the bacteria did become more dangerous in space and revealed the specific genetic changes and their relationship to ions within the growth media. A followup up experiment involved media without those ions. These experiments may lead to a greater ability for scientists on the ground to control the virulence of a bacteria. Sometimes something is possible on the ground, but so difficult that unless there is evidence it will be worthwhile, it just won't get done. The MPS (Microencapsulation Electrostatic Processing System) experiment illustrates this. The idea behind MEPS is that a solution containing micro balloons that contained a chemotherapy drug could allow doctors to better target tumors and not healthy tissues. But constructing these micro balloons in a gravity environment was foreboding. So, they tried it out on the ISS. It worked. They were able to produce micro balloons that had the properties they wanted and did what they wanted them to do. Careful study of the space-based success helped researchers figure out how to do it on the ground. There are now efforts to begin clinical trials using drugs encapsulated in these balloons to target breast and prostate cancers. These are just a small sampling of the important experiments done aboard ISS that could not be done in the very brief periods of weightlessness that we can simulate on Earth. What is the real use of the International Space Station? originally appeared on Quora. You can follow Quora on Twitter, Facebook, and Google+.